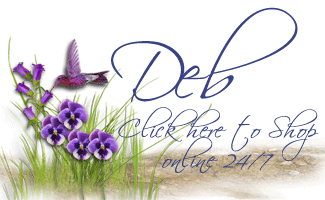 Sprinkles of Life – another Sneak Peek! My cards previously using this set included making clouds, flower baskets and an ice cream cone; now here is the cupcake version!! Isn’t that coordinating sentiment just the cutest?! My card base is Whisper White cardstock, with a panel of Cucumber Crush embossed with the Decorative Dots embossing folder on top. To the left I place a panel of Watermelon Wonder cardstock, and on top of that are small rectangles of Cherry on Top Designer Series Paper. I stamped the bottom of the cupcake in Crumb Cake in on Crumb Cake cardstock; the top was stamped on Whisper White cardstock in Watermelon Wonder ink. The sprinkles are stamped (yes, this set comes with a stamp for sprinkles!) in Cucumber Crush, Mint Macaron and Watermelon Wonder. The cupcake top was punched out using the Tree Builder Punch. The cupcake was layered on top of a 1 3/4″ punched circle of Cucumber Crush, which was layered on top of a 2″ Scallop Circle of Watermelon Wonder. Everything was layered onto the card base using Stampin’ Dimensionals. The sentiment is in Watermelon Wonder ink, and the little bow is made of Whisper White Thick Baker’s Twine. I think this cute card could be given to anyone, for just about any happy occasion; a birthday, a thank you, or just because. Like I said on previous posts, I am just loving this stamp set; it is so versatile – I’ve used it 4 times, and haven’t repeated a theme yet! And I haven’t even made a standard tree, yet! I’m looking forward to getting a lot more use out of this stamp; I think you’d be happy if you were to add it to your ‘must have’ list, come June 2nd and you can order it! 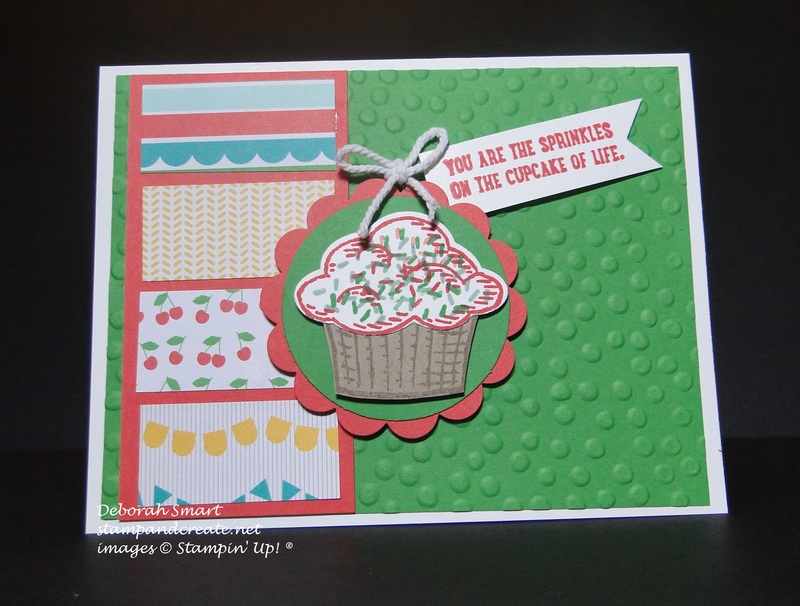 Next Next post: Another Fun Stampin’ Up! Party!